ISIS and al-Qaida are regrouping in war-torn Libya as reports indicate Russians are pushing a military presence into the years-long civil war and some members of Congress want to know what the United States is doing about it. Members of the House Foreign Affairs Committee held a hearing on the status of Libya last week, on the same day that militants detonated a car bomb on the convoy of the chief of staff to the general who heads one of the two major armies vying for control of the country. 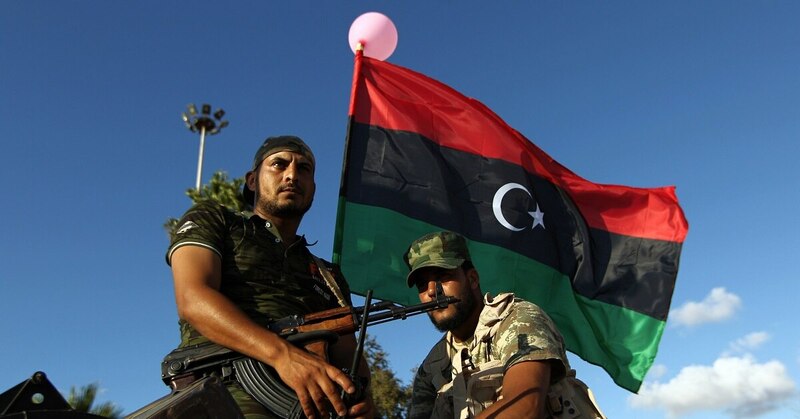 “Militias, criminals and terrorists” are operating with “impunity” in some areas of Libya, said Chris Blanchard, a specialist in middle eastern affairs in the Congressional Research Office’s Foreign Affairs, Defense and Trade Division. Those militias emerged following the fall of former dictator Muammar Gaddafi the beginning of the 2011 Libyan civil war, which has continued. The militias are smuggling drugs, guns and people within and beyond the nation’s borders. Migrants flowing through Libya to Europe face sexual abuse, torture and enslavement, said committee Chair Rep. Ileana Ros-Lehtinen, R-Florida. Those problems and the activities of ISIS and al-Qaida are spilling into North Africa neighbors Mali, Chad, Sudan and into Egypt via arms trafficking. It is not a contained problem by any definition. And committee members want to know what is the strategy for Libya under President Donald Trump. Blanchard echoed ongoing comments on the current role of U.S. military forces in Libya — counterterrorism. “I also think that, in terms of our investment, you know the Department of Defense is to the extent that we are investing in a sort of long-range counterterrorism approach, it’s a containment strategy and it’s built entirely on this,” Blanchard said. But he was quick to note that the nature of that mission also draws on U.S. resources, both diplomatically and militarily. 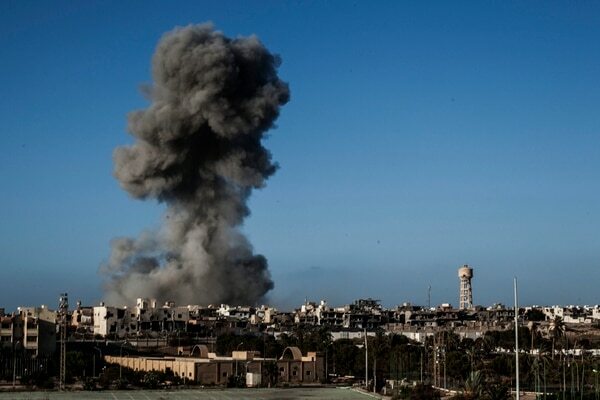 Waldhauser’s troops conducted an airstrike in late March that killed Musa Abdu Dawud a senior member of al-Qaida in the Islamic Maghreb who was instrumental in providing training and weapons to regional militants, according to an AFRICOM release. That was one of at least eight airstrikes since September, which pales in comparison to the nearly 500 strikes conducted in 2016, many of which targeted Islamic State fighters, according to data tracked by the Long War Journal. At that time Lt. Gen. Robert Ashley, head of the Defense Intelligence Agency, told Congress that ISIS in Libya “remains a formidable regional terrorist threat” and the al- Qaida affiliates are spreading their influence in the region. And the conditions don’t have an easy option. Blanchard listed two basic options — more diplomacy and assistance or less U.S. involvement. More involvement could help U.S. goals, he said, but could lengthen U.S. commitments and invite others to intervene. Less involvement could reduce the burdens on the United Sates but could make the country and its neighbors less secure, calling for more U.S. intervention. One of those “others to intervene” are likely already there. At the same time, Rep. David Cicilline, D-Rhode Island, noted there are reports that Russian special operations forces are in the border region between Egypt and Libya as Russia officials facilitate weapons deliveries to the forces of Gen. Khalifa Haftar, head of the Libyan National Army. Frederic Wehrey, a senior fellow with the Carnegie Endowment for International Peace, told the committee that Russia’s actions aim to undercut U.S. influence in Libya. The experts who testified stopped short of calling for a boots on the ground peacekeeping mission in Libya at this point. But not necessarily because of the costs associated.